But what is God’s actual name? In this study we discuss the various names mentioned for God in the Old Testament Hebrew. Each of our Heavenly Father’s names describe different shades of His magnificent character, being, and personality, allowing us to know our Father better and learn what God wishes us to develop in our character, in order to bring joy, honor, glory, and praise to the Creator of all. The word “Shaddai” is formed from the Hebrew words shad—the breast—and shadah—to shed, to pour out. Thus, El Shaddai is “the God who pours out blessings, who gives them richly, abundantly, continually” (Adam Clark’s Commentary, Genesis 17:1). God is “Shaddai” because He is the nourisher, the strength‑giver, and thus the satisfier, who pours Himself into believing lives. The primary translations of this root in the scriptures are “god” (for pagan or false gods), and “God” (for the true God of Israel). However, in Strong’s Concordance “El Shaddai” is not found under the English words “God” or “Lord,” but rather “Almighty” (Strong’s 7706). “All‑sufficient” would express the Almighty God (El Shaddai) for He not only enriches, but also makes fruitful. This is nowhere better illustrated than in the first occurrence of the name “El Shaddai” in the Bible, in Genesis 17:1. “(1) And it came to pass that, when Abram was ninety and nine years old [being “as good as dead,” Hebrews 11:12] Yahweh appeared unto Abram, and said unto him, I, am GOD Almighty,—Walk, thou before me and become thou blameless: (2) That I may set my covenant betwixt me and thee, And may multiply thee, exceedingly. (3) And Abram fell on his face,—and God spake with him, saying: (4) As for me, lo! my covenant is with thee,—So shalt thou become—father of a multitude of nations; (5) And thy name shall no more be called Abram,—but thy name shall become Abraham, for father of a multitude of nations, have I appointed thee” (Genesis 17:1‑5, Rotherham). We can now best understand God’s character when combining these two named attributes of God’s being: All‑Powerful (“El“) and All‑Sufficient (“El Shaddai“). Genesis 17:1 is a beautifully clear and direct statement from God of His unlimited, supreme, divine power and this quality of God can be best described in one word as God’s OMNIPOTENCE. Even simply because of God’s omnipotence, we should focus on being “blameless” through Christ. That is, through a firm belief (based on testing/studying the Scriptures, Romans 10:17, 1 Thessalonians 5:21), and thus from a steadfast faith (1 Corinthians 15:58, Hebrews 6:19) in Christ as a ransom for our sins (and for the whole world, 1 Corinthians 15:21), we are redeemed and reckoned as righteous children of God (Romans 8). Our Heavenly Father is able to meet every need (Philippians 4:19) and protect us from any danger to our spiritual lives (Jude 1:24). Our faith and trust in El Shaddai can turn any temporal difficulty into a spiritual blessing for our eternal interests (Romans 8:28). Our responsibility is to manifest complete faith and trust in God (Isaiah 40:28‑31, 41:10, Jeremiah 17:5, Exodus 15:2, 1 Chronicles 16:11, Luke 12:8‑10, John 12:37‑43, 2 Kings 5:13‑15, Genesis 15:6‑10). Then we can have perfect peace of mind in His all‑sufficient grace (Isaiah 26:3, 2 Corinthians 12:9). “We must supply our best effort, which will always be too weak and insufficient to overcome all of our imperfections, but El Shaddai will supply whatever is needed to make up for our shortcomings. God’s name, El Shaddai, describes not only what God is, but also what He does for us. El Shaddai sustains us, nourishes us, comforts us, and provides everything we need. This should make us more grateful, more peaceful; and make us feel our complete dependence upon Him. Knowing God as El Shaddai helps us more readily to praise Jehovah, our Heavenly Father, in all the experiences of life” (Br. Allan Ross, “El Shaddai,” Beauties of the Truth, November 2014). The Patriarchs were close to El Shaddai, our Heavenly Father. They depended on Him for everything in normal life. They were a pastoral people and depended on their crops and herds for food. If there was a drought, or a disease in their herds, they could starve. They did not have unemployment benefits or retirement plans through difficult times. They had El Shaddai and that was all they needed. “Jehovah” is the name that God gave to himself in Exodus 3:13‑15. In relation to Exodus 3:14, the Catholic Encyclopedia, 1967, vol. 14, page 1065, states that in this particular verse “a merely folk etymology of the name, based on the qal form of the verb ‘to be,’ is given.” “Grammatically, because of its vocalization, yahweh can only be a … causative form of this verb, with the meaning ‘He causes to be, He brings into being.’ Probably, therefore, Yahweh is an abbreviated form of the longer, yahweh aser yihweh, ‘He brings into being whatever exists.’ The name, therefore, describes the God of Israel as the Creator of the universe.” (Ronald Day, “The Divine Name”.) That this meaning is correct can be seen by observing the indicated meaning of Jehovah in Exodus 6:2,3 – which is discussed further in this study. Today you will not find the divine name “Jehovah” (English) (nor “Yahweh”) in the New American Standard Bible, not even in the four places that were in the original AKJV (i.e. Exodus 6:3, Psalms 83:18, Isaiah 12:2, Isaiah 26:4). “The name was removed quite simply because there was many thousands of years ago a Usurper to the throne of God, the great liar, the Adversary. His first act of rebellion was to accuse Jehovah of lying to Adam and Eve about the tree of knowledge telling Eve that if she ate of the fruit she would become like God knowing all things and that she would not die. Ever since, Satan has opposed the Most High and His Son as well as all faithful followers of God’s Word. Thus, by having the divine name removed and substituted with “Lord” it made it so much easier to introduce the false doctrine of the Trinity whereas both the Heavenly Father and His firstborn son, Jesus Christ, the Logos, are called “Lord,” and the word is interchangeable to mean that both are coeternal and equal which is not true. The Heavenly Father had no beginning and no end, while Jesus had a beginning, and was God’s firstborn son (Br. Richard Tazzyman, 2017 Discourse: “I Am”). “For He rescued us from the domain of darkness, and transferred us to the kingdom of His beloved Son, (14) in whom we have redemption, the forgiveness of sins. (15) He is the image of the invisible God, the firstborn of all creation” (Colossians 1:13‑15). This change of removing the name “Jehovah” stems from the 1880s when the council of the church of England recommended to the British Crown that a revision of the AKJV be produced, and at the same time a group of translators from the United States of America were invited to collaborate with the translators of the RV of the AKJV Bible to produce a version of the Bible in American English. Thus, the American Standard Version of 1901 was created. Br. Richard Tazzyman comments in his discourse “I AM” about how the original committee felt towards the importance of the divine name, in the Foreword of the 1901 ASV Bible. “I am Jehovah; this is my name, and my glory will I not give to another” (Isaiah 42:8). “That men may know that thou whose name alone is Jehovah, art El Elyon, the Most High over all the earth” (Psalms 83:18). By What Name Was God Known to the Patriarchs? The name “Jehovah” appears in Exodus 3:15. Only three chapters onward, we read of “El Shaddai” and “Jehovah” both being mentioned in Exodus 6:2,3. This verse could not mean that up until the time of Exodus 6 no one knew God by the name of “Jehovah.” For even Adam knew God by the name of Jehovah as confirmed in Genesis 4:25,26. “Adam knew his wife again; and she bare a son, and called his name Seth: For God, said she, hath appointed me another seed instead of Abel, whom Cain slew. And to Seth, to him also there was born a son; and he called his name Enos: then began men to call upon the name of Jehovah.” Adam lived 700 years after Seth begat Enos. Thus he would have been one of those that knew Jehovah by name. From the very beginning the Patriarchs knew the name JEHOVAH El‑Shaddai, God All‑sufficient, since they recognized God’s continual provision made for them and the constant protection that God afforded them. However, the name “Jehovah” refers particularly to the accomplishment of promises already made; to giving them a being, and thus bringing them into existence, which could not have been done in the order of His providence sooner than until the deliverance from Egypt and the settlement in the promised land. Then the usage of “El Shaddai” became infrequent after the Law Covenant was established. Hence in the earlier scripture mentioned — Exodus 6:2,3 — Jehovah had to be referring to the meaning of his name (as the one who causes) rather just to the word used to designate his name. In verse four Jehovah calls attention to the covenant he had made with Abraham, Isaac, and Jacob, to give them the land of Canaan. They never saw Jehovah cause the fulfillment of that promise. 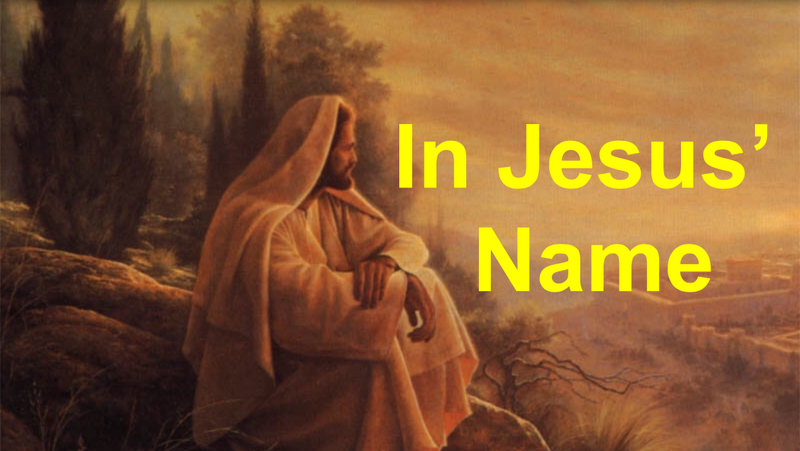 It is in this respect that Jehovah says that He did not make his name known to them. However, now, Jehovah is saying that he is going to cause a fulfillment of that promise. He will bring the Israelites out of Egypt into the land that he had promised to Abraham, Isaac, and Jacob (Exodus 6:6-8). Thus the name Jehovah signifies the one who accomplishes what he desires and we can fully trust that His magnificent plan for man will be completely accomplished (Isaiah 55:11, 45:21). When the patriarchs wanted to give the strongest assurance to those that were going on a dangerous mission, they used the divine name El Shaddai. “As Abraham had sent Eliezer to find a covenant wife for Isaac, so Isaac sent Jacob to find a covenant wife—not from the Canaanites, but from Abraham’s extended family. The patriarchs Abraham, Isaac, and Jacob, were all under the Abrahamic Covenant, a Covenant of Grace. As consecrated Christians, we also are under a Grace Covenant. Like Jacob, who here typified the New Creation, we have been sent on a journey and blessed by the antitypical Isaac, our Lord Jesus. So we can repeat this blessing, transferring the thought from the type to the antitype as coming from our Lord Jesus to us: ‘May El Shaddai bless thee’ (verses 3,4). “Genesis 35:9‑12—Here God confirmed His Covenant to Jacob and changed Jacob’s name to Israel. “After this confirmation, Jacob journeyed to Bethlehem. There his wife, Rachel, died giving birth to Benjamin. Then Jacob travelled to Hebron where his father, Isaac, had died. Thus this revelation to Jacob of El Shaddai as his All Mighty, All Sufficient God was a specially needed blessing. It was a reassurance to Jacob to have the covenant confirmed to him, and to know that El Shaddai would be with him throughout his walk. “Genesis 37:35—This text speaks of the time Joseph had been sold into Egypt, and Jacob was told that Joseph was dead. “Though Rachel, Isaac, and Joseph—the three people that Jacob loved the most—were gone, and no one on earth could comfort him, El Shaddai comforted Jacob. There was nothing that he and El Shaddai could not handle together. “Genesis 43:14—Later, Judah promised Jacob that he would return to Egypt as surety for Benjamin. But before sending Judah, Jacob asked the blessing of El Shaddai upon him in. “Genesis 48:3,4—Years later, when Jacob was on his death bed, Joseph brought his sons, Manasseh and Ephraim, to be blessed. “Genesis 49:25—Jacob gave a final blessing to each of his sons just before he passed away. ‘Even by the God of thy father, who shall help thee; and by El Shaddai, who shall bless thee with blessings of heaven above, blessings of the deep that lieth under, blessings of the breasts, and of the womb.’ ” (Br. Allan Ross, “El Shaddai”). By considering the usage of El Shaddai in the Book of Ruth and the Book of Job, we understand an additional aspect of what God does for His people, that He permits short‑term pain for long‑term blessings. God’s people do not always understand His Grace when they are in the midst of a painful experience. But we must fully trust our All‑Powerful, All‑Sufficient, God. El Shaddai only allows experiences that bless us, if we take them in the right way. In the Book of Ruth, Naomi, her husband Elimelech, and their two sons left Bethlehem‑Judah because of a famine and travelled to Moab. Within ten years of entering Moab, Naomi’s husband and two sons died. Naomi was downcast and confused. If God was All‑Mighty, All‑Sufficient, why would he allow her husband and her sons to die so quickly? To answer this, we have to look at the big picture, the long‑term view. El Shaddai takes the long view. Should Elimelech have taken Naomi and his sons and left Bethlehem to go to Moab in the first place? No, since El Shaddai is All‑Sufficient, He would have cared for them IN the Promised Land. If Elimelech had a stronger faith, he would have kept his family in Judah and waited for El Shaddai to bless his faithfulness. 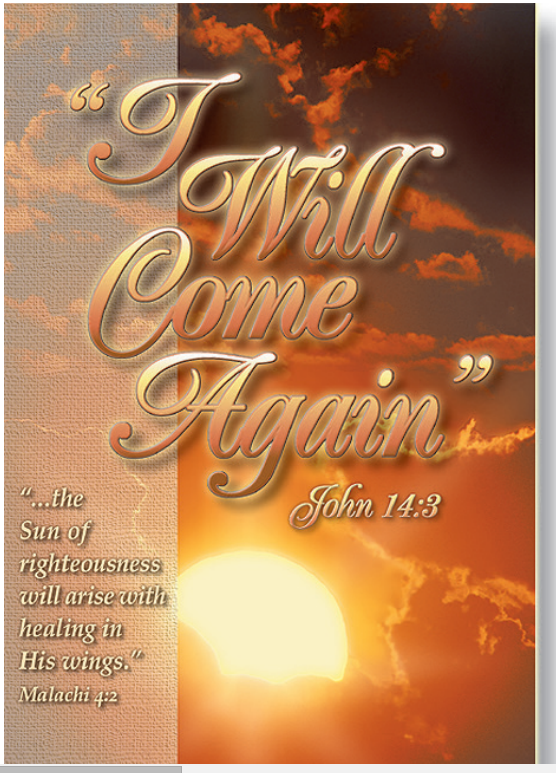 As in Naomi’s case, God may allow afflictions to come so that we will return to Him. God took away what was keeping Naomi from being close to Him! If Naomi had stayed in Moab we never would have heard of Naomi or Ruth. There would not be a Book of Ruth in the Bible. It was the return to El Shaddai that allowed El Shaddai to abundantly bless both Naomi and her daughter-in-law Ruth (who chose to return with Naomi to the Promised Land). Because Naomi and Ruth returned to the Promised Land, Ruth married Boaz. As King David’s great grandmother, Ruth became identified through the lineage of Mary with David’s greatest Son and Lord, our Lord Jesus. Because Ruth drew near to God in devotion, she received eternal blessings. The first use of the word “El Shaddai” in the Book of Job is in Job 5:17,18, where we read the words of Eliphaz to Job. The last use of “El Shaddai” in the Book of Job appears in Job 40:1,2. Jesus is the first person in Scripture to begin referring to God as “my heavenly Father,” and “our and your heavenly Father.” Jesus only used these terms in the presence of his disciples; they were not applied to others who were not yet prospective sons. Jesus was the first son of God, who opened up a “new and living way” gives us the opportunity to also become sons of God (John 1:14, 1 John 3:1,2). Revelation 15:3—refers to Jehovah as Almighty. We also have scriptures that declare the almighty power of our Heavenly Father. Psalms 91:1‑3—In these verses David represents our Lord Jesus addressing his Church. 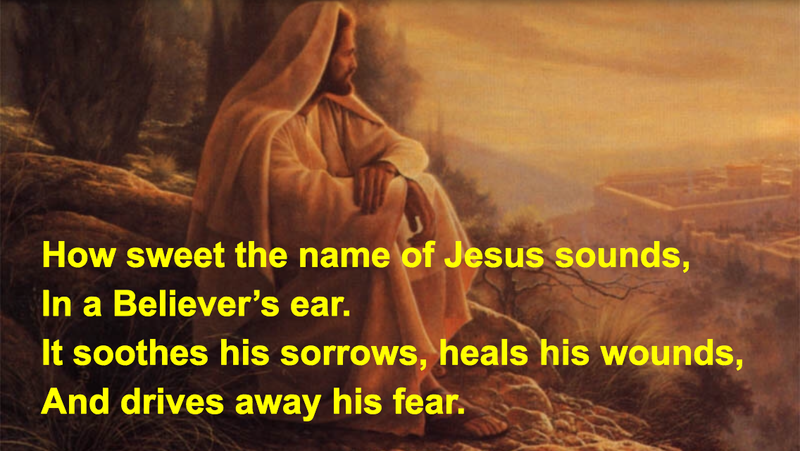 Jesus is telling his Church that we, who abide in the Secret Place of consecration in the antitypical Tabernacle, close to Jehovah, have nothing to fear despite the dangers that surround us because our God will protect us. Thus in the above passage of Scripture, four of God’s names are invoked to emphasize this—El Elyon, El Shaddai, Elohiym and Jehovah. It would be unfortunate to always read these descriptive names generically as “God” or “Lord.” So when we read Scriptures, let us consider referring to the Rotherham’s version or RVIC for a more exact translation of the original biblical manuscripts. Then there is no confusion between whether the verse refers to our Heavenly Father, or if the verse(s) refer to Jesus, Jehovah’s firstborn creation and the world’s Redeemer. To answer our opening question—Jehovah occupies the highest position of authority and glory in the universe. We hallow our Heavenly Father’s authority and bow in reverent and humble submission before Him in ALL His glorious attire of royal grandeur. Br. Allan Ross, “El Shaddai,” Beauties of the Truth, November 2014. Vines Expository Dictionary of OT and NT Words, page 161. The authors of the above references for their content utilized for the above written work.